Travel from Kansai International Airport (KIX) to Kyoto Station on the Express Haruka train in 75 minutes, or by limousine bus in 1 hour and 45 minutes, or from Osaka (Itami) Airport in 55 minutes. Kyoto is within a 2.5 hour bullet train ride from the Tokyo metropolitan area. Take the Karasuma Subway Line from Kyoto Station to Kokusaikaikan Station in 20 minutes, or take a taxi in 30 minutes in normal traffic. We are located 40 minutes from the Kyoto-Minami Interchange or the Kyoto-Higashi Interchange on the Meishin Expressway in normal traffic. Drive north on Horikawa-dori or Karasuma-dori streets until you reach Kitayama-dori street, then enter via Takaragaike-dori street. We are located 25 minutes from central Kyoto during normal traffic. 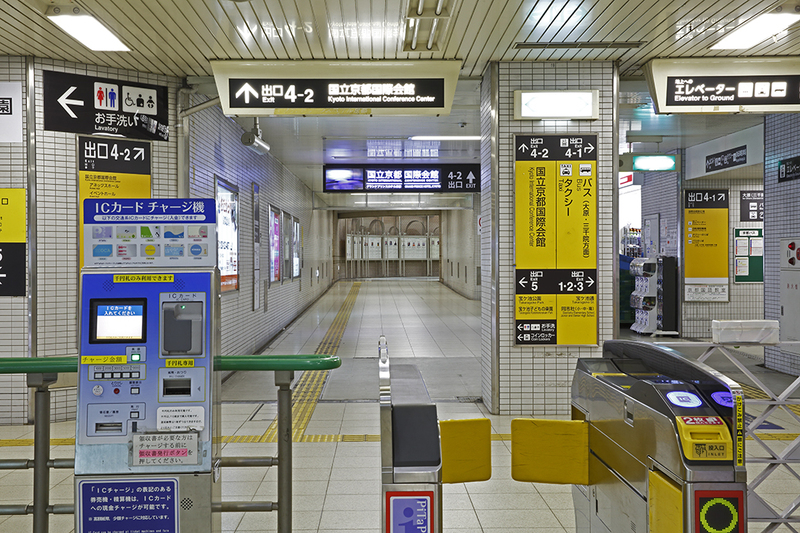 ● 5-minute walk from Kokusaikaikan Station on the Karasuma Subway Line. Exit the ticket gate and walk through the underground passage to Exit 4-2. The covered walkway from Exit 4-2 will guide you to our front entrance, keeping you dry on rainy days. ● 5-minute walk from the Kokusaikaikan-eki-mae bus stop on the Kyoto City Bus and Kyoto Bus lines.